What gets my juices flowing? Well I’m a simple man… I love family, vaping (as well as the stuff you see, I also love building mods and trying to make fancy-pants coils), motorcycles, music, and playing guitar, although unfortunately, I don’t get to spend as much time with any of them as I’d like working a 50 hour week! I started vaping back in 2010/2011 I can’t remember the exact time, but after being a 20-aday smoker (at least) since my mid teens, 20+ years of smoking had taken its toll on my health. I’d managed to give up for nearly 2 years in my late 20’s, but I pretty much wanted to smoke every day of that period. When I started vaping, I loved it, but the ego style batteries, with the cone atomizers and refillable tips *shudder* were all I knew about and used. When they worked they were great, but very quickly they’d burn, filling my lungs with what we now know is a dry hit/burnt coil, and at that point I had no idea why! Unfortunately after persevering for quite some months, the evil arms of tobacco took me again. Fast forward few years and vaping had a makeover, knowledge, equipment, the community, vendors, everything was suddenly a lot better, and WOW what a time to get back to the loving caress of the vape world! After being diagnosed with Fibromyalgia and Ankylosing Spondylitis, I had to make a change, smoking or walking, one had to go. 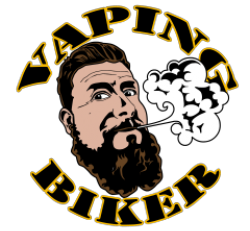 Finding some amazing reviewers on YouTube inspired me to look into electronic cigarettes, and then to vaping more an more, the more I found out the more I wanted to know and the more I wanted to try. After progressing through to my first ‘proper’ piece of kit, which was a Coolfire 1 and iClear 30S tank, I knew I loved it. I knew I loved clouds (not quite what a cloud is today obviously! ), and most of all I knew I loved feeling healthier, able to breathe, and not waking up with a hacking cough every morning. I never touched a cigarette again. A local B&M, a local vape group, and a lot of happy hours well into the night/early mornings watching build videos, product reviews, and differing opinions guided me to the vaping bearded idiot I am today – and I couldn’t be happier. I hope that every now and then, someone watches one of my videos and gets inspired the way that those YouTuber’s I used to watch inspired me (as they continue to do!). Vaping is facing a challenging time at the moment, but it’s still growing immeasurably as well. If we all remember why we started, and what drives us, together we can live long and healthy lives enjoying what we do. Regardless of whether we vape starter kits or the highest of high end gear, flavour chase or go for clouds, practice blowing O’s or carry our ADV in an ego kit. I believe we owe it to ourselves, our families, current smokers, and our community to band together, fight for our rights, educate the populous, and show people the alternative to tobacco, and, a future with fewer fatalities caused by combustible sticks.